Ask any newlywed bride about the most stressful aspects of planning a wedding, and you're sure to find that the wedding budget is mentioned in there somewhere. Getting engaged turns the fantasy of the wedding into a reality, and oftentimes nothing bites harder in reality than realizing your fantasy wedding isn't financially realistic. And as the average price tag for a wedding steadily increases, engaged couples oftentimes struggle to find the balance between a beautiful and in-budget wedding day. I'll be the first to admit that I started panicking hard when I realized how far my projected wedding budget would actually go. However, this post isn't about bumming you out about your wedding day — it's about being prepared with wedding budget checklists, tools and spreadsheets to plan and budget the wedding of your dreams, no matter how large or small your wedding checking account. First things first — you'll need to sit down and talk with your family and fiancé to start figuring out how much you have available, and how much you're comfortable spending. If you need advice for getting conversations started and prioritizes organized in regards to your wedding budget, we highly recommend you visit this post on how to create your wedding budget. Once you've got a number nailed down that you're more or less planning on sticking to, it's time to start allocating. A warning: this is probably the most stress-inducing part, at least for me. So, now you know. Most brides (yours truly included) are shocked to find out that your reception (which includes your venue, food, drink, decor, DJ, etc) will take up roughly 50% of your wedding budget. But once you recover from sticker shock and start thinking about it, it does make sense — you're providing a nice dinner, venue and drinks for probably 100 more people. When was the last time you paid for dinner for 100 of your nearest and dearest? My guess is never, but if you start thinking along those lines, it can start to become more digestible. With some quick mental math, you can start to roughly break down where your wedding budget will go. For example, if you're planning to spend 30k, about 15k will go towards your reception, 3k will go to your honeymoon, etc. Of course, no one wants to keep a running tally of wedding budget allocation in their heads, so we've rounded up our two favorite tools to help you keep track of that budget. This handy wedding planning spreadsheet by Style Me Pretty and Google Docs is a lifesaver, and keeps all those numbers nice and updated with every addition and subtraction you make. Or if you're more of a pen-and-paper kind of person, this wedding budget checklist and worksheet by Real Simple is a great free and printable option. 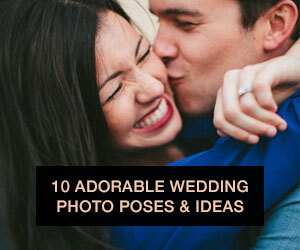 Okay, now that you've got your budget and tools for allocating resources, it's time to think of the type of wedding day you're going to have, and what's important to you. No two weddings are the same, and those allocation amounts are just guidelines. You can adjust them as needed to fit your vision — for example, maybe you'll be DIYing your flowers and stationery for a backyard wedding day. Your budget should reflect that! If you're stumped, check out these real sample wedding budgets, rounded up by the lovely ladies at A Practical Wedding. On a final note, the last thing to think about is those pesky, hidden wedding costs that inevitably pop up. Trust us, it'll get pretty stressful pretty quickly if you realize your wedding checking account is low and you've still got thousands more to pay! While you can't predict the future and what shape your wedding budget will be in, you can at least anticipate some of those hidden wedding costs that could tip you over the edge. Well there you have it, brides and grooms! 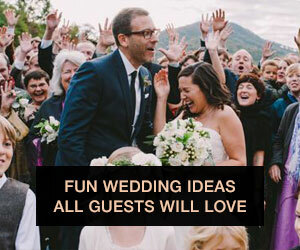 Your crash course in wedding budget checklists and resources. Hopefully you're equipped now with the knowledge to move forward and plan your dream wedding...in budget. What was your experience with your wedding budget? Let us know in the comments!